Ozark Folk Center State Park Kicks Off 40th Anniversary Celebration with May 5th Dedication Day. 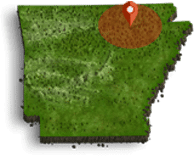 Mountain View, Arkansas – – This year the Ozark Folk Center State Park is celebrating its 40th Anniversary. This unique park was opened on May 5, 1973, after more than a decade of lobbying and hard work by many people from Mountain View, Stone County, Arkansas and as far off as Washington, DC . Dedicated to perpetuating the crafts, music and folk life of the Ozark region, our Arkansas State Park continues to offer old time music, classes, youth programs, entertainment and hands-on fun for everyone. The Sunday, May 5th Dedication Day Celebration is from 1 p.m. to 4 p.m. in the Craft Village we will have crafts from then and now, speakers from the opening year; a slide show of 1973 showing throughout the day in the White Oak Auditorium; a clothing display of dresses worn the opening year; and, of course, music. There will be old time games for all ages on the Admin Green Space at 2:00 and recognition of some of the original folks and sharing memories in the Picnic Pavilion at 3:00. There will be a “visiting room” in the Administration set up to show items from the early years and talk with old friends. Admission is the special 1973 “roll back” price of $2.50 for everyone over 6-years-old. Children six and under are free. The Ozark Folk Center State Park Craft Village is open Tuesday through Saturday from 10 to 5 in Mountain View, Arkansas. For more information visit www.ozarkfolkcenter.com or call 870-269-3851.